Edo Cultural Center Japanese Language School was founded in 1984. Since then, more than 10,000 students from over 70 countries have completed our courses and contributed to the international atmosphere of Japanese language school. The world is changing rapidly; communication ability between people becomes a very important measure. Edo Cultural Center is not only teaching Japanese Language but also providing a place for meaningful cultural exchange to our students. This course is for students who aim to enter a university, graduate school or a vocational school in 2 years maximum. 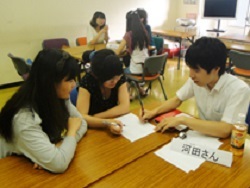 Supplementary lessons for “Japanese Language Proficiency Test(JLPT)” and “Examination for Japanese University Admission for International Students(EJU)” are offered based on the examinations schedule. We always put student’s wishes and goals as our first priority to consider and give detailed advice to lead students to determine their best way. Approximately 95% of our students go on to universities, graduate schools and vocational schools. We offers special recommendation for those who have excellent academic results. This course is for those who are not willing to enter a higher education level but need to master Japanese language in following purposes. Learning Japanese in order to find a job position in their home country. Aim to hunting a job in Japan after graduation. This is a course for those who want to learn Japanese language during the long company or school holidays. Basically, lessons will start on January, April, July and October, application for the extra months please contact us directly. 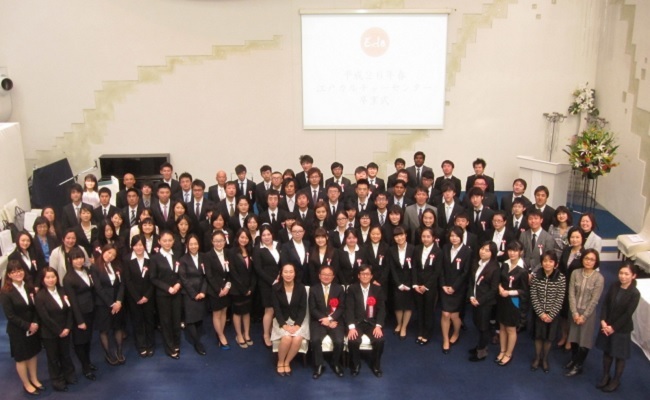 Edo Cultural Center assists students who wish to study in graduate schools, universities and vocational schools in Japan. Our experienced teaching staff can provide the following support. Edo cultural Center is located in Akasaka, the heart of forefront information area in Tokyo. Today Japanese people are often described the current cultures, traditional customs, arts and fundamental social characteristics began to take root during Edo era. Our school named “Edo”, we hope that passing through the lessons, extracurricular activities and splendid learning environment would acquire a deeper understanding of “past” and “now” faces of Japan to our students. You can enjoy conversation with Japanese university students, taking about campus life in Japan, latest culture amoung young people and so on. Student can join for free of charge. Women only. 50,000 yen/month. Located in Aoyama and walking distance from the school. Introduce private dormitories. Rent is from 35,000 yen/month and higher. The commuting time is approximately 30 – 50 min. The tuition and fees of Edo Cultural Center are as follows. Here is the estimated cost for one academic year at Edo Culture Center. It is based on a private dormitory (35,000 yen/month). The estimated cost will be changed depending on how you stay.